This review comes because of the continuous nagging from my roomate and she will not rest until I have put this up. Last month she was out of a body lotion, so I was asked for suggestions as to which one she should buy. I gave her a few and also a list of ones she should not get. And this was one of them. Sadly, my roomie, being her usual self, forgot what I had told her and came back home with this huge bottle. (She wasn't spared my lecture though). And now she wants her not so wonderful experience to be put up here, so that others don't suffer... Ahem! 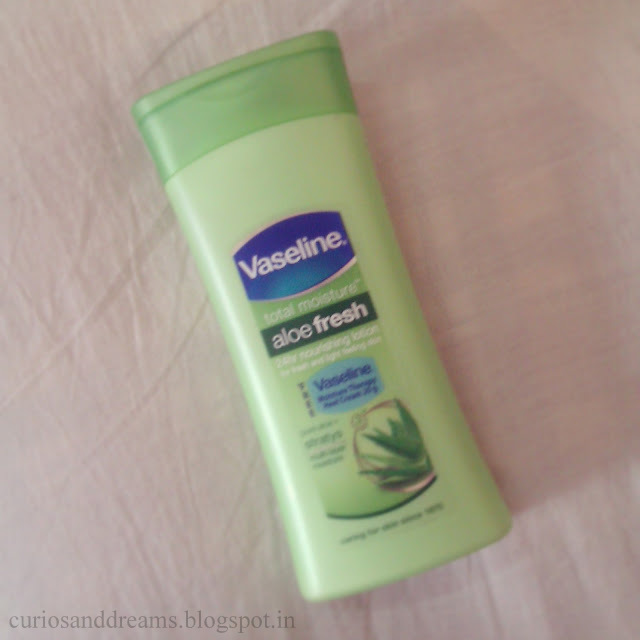 Hence, Vaseline Total Moisture Aloe Fresh. Nice green coloured bottle. Very fresh looking to the eyes and sturdy. Flip top cap. With a small nozzle. Easy to dispense the lotion out and leak proof. The fragrance is something both of us like. Very light and fresh. Totally apt for the summers. It does stay on for a while. Consistency is extremely light. Not runny. It spreads very easily and you don't need much time to work it in. It gets absorbed in seconds. Moisturising abilities, well... This is where the problem starts. I know its basically a summer body lotion and we do not need a thick heavy lotion these days, but we do need a certain level of moisturisation! We both tried this lotion, mine being a somewhat normal skin type and my room-mate's is on the dry side. It never worked for either of us. (And well, there is a whole lot of cursing and disappointing tch's whenever she uses it, promptly followed by my "I told you so"). 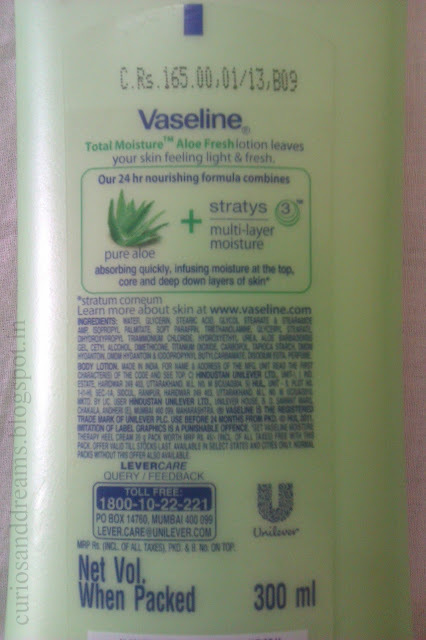 I find that among the Vaseline lotions the Cocoa Butter (the chocolate-brown bottle) is the best. 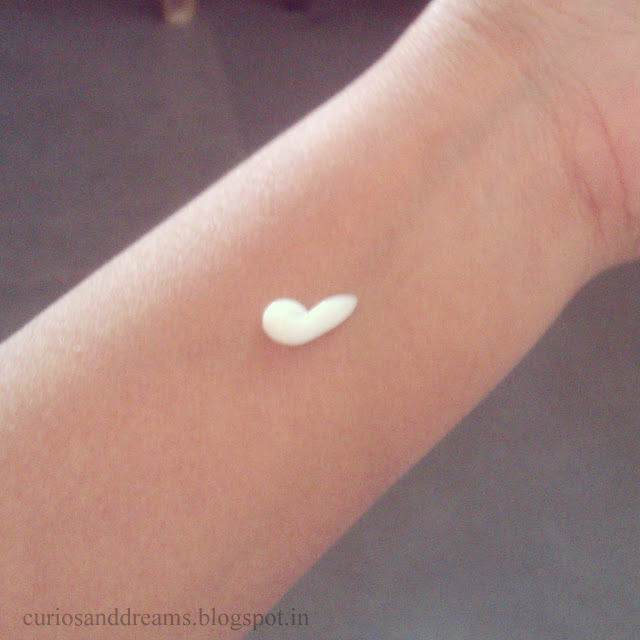 Will I/She ever repurchase it? I know summer is setting in, but there are plenty of light lotions available that do their job well. And I wouldn't mind spending a little more on them. Stay clear of this one folks!